ConvertAll Best and Complete Unit Conversion Program in Linux FREE. Unit conversion practice will be useful to solve unit conversion problems. How to install ConverAll and review about it. ConvertAll is a linux software to convert an unit to another unit. With ConvertAll you can convert fluid dram and the minim volume units, in both US and Imperial versions; xonvert smoot length unit; long ton unit (Imperial version of the ton); kilopond unit as a synonym of kilogram-force; micron of Hg pressure unit; lunar distance (LD) astronomical distance unit; rack unit (height of an electrical rack); versta Russian length unit; microliter volume unit; galileo acceleration unit; stremma land area unit; and many more it is very complete! 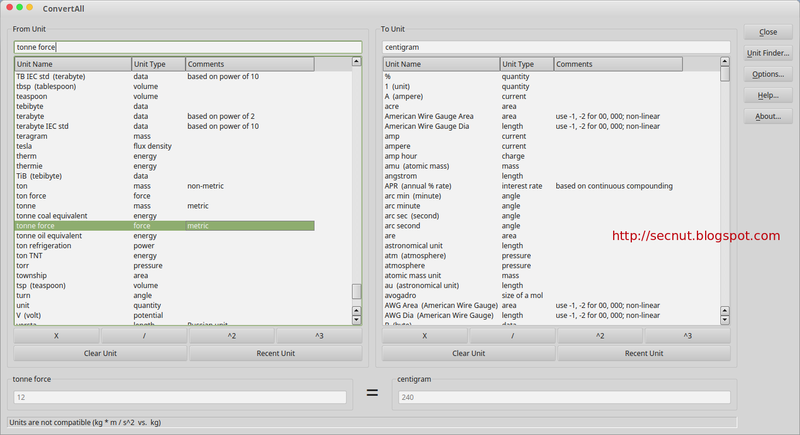 The base units for conversion may be either typed (with auto-completion) or selected from a list. Units may be selected using either an abbreviation or a full name. Units may be combined with the "*" and "/" operators. Units may be raised to powers with the "^" operator. Units in the denominator may be grouped with parenthesis. Units with non-linear scales, such as temperature, can also be converted. Recently used unit combinations may be picked from a menu. Numbers may be entered on either the "From" or the "To" units side, for conversions in both directions. Basic mathematical expressions may be entered in place of numbers. Options control the formatting of numerical results. The unit data includes over 500 units. The format of the unit data file makes it easy to add additional units. Command line options are available to do conversions without the GUI. The user interface and the unit data are available in English, French, German, Russian and Spanish. If your distribution defaults to Python 2.x, you may need to substitute python3, python3.2 or python3.3 for python in these commands. ConvertAll is the best program for unit conversion in Linux, it can convert various format quiclky. Simply type a unit name in the "From Unit" edit window. As you type, the list below the window will scroll to show unit names which are close matches. Either type the complete unit abbreviation or unit name or hit the return key to use the unit highlighted in the list. Of course, clicking with the mouse on a unit in the list will also add the unit to the edit window. You may also use the up and down arrow keys to select nearby units from the list. Repeat the unit selection in the "To Unit" edit window. When done, if the units are compatible, you will see the numeric edit windows below the unit lists activate. A number may be entered into either numeric window and the other window will display the conversion result. 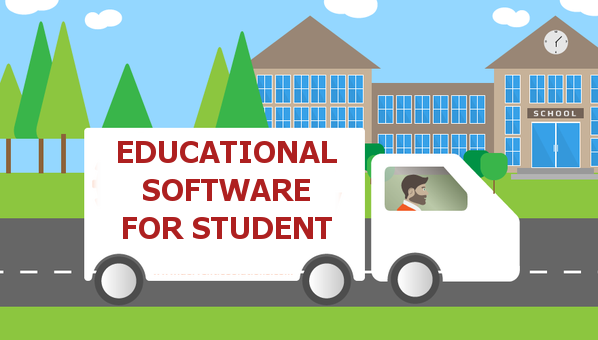 See complete list of Linux Software For Students - BEST Educational Apps. There are some best educational software for highschool students such as chemistry educational software mathematic application for linux. 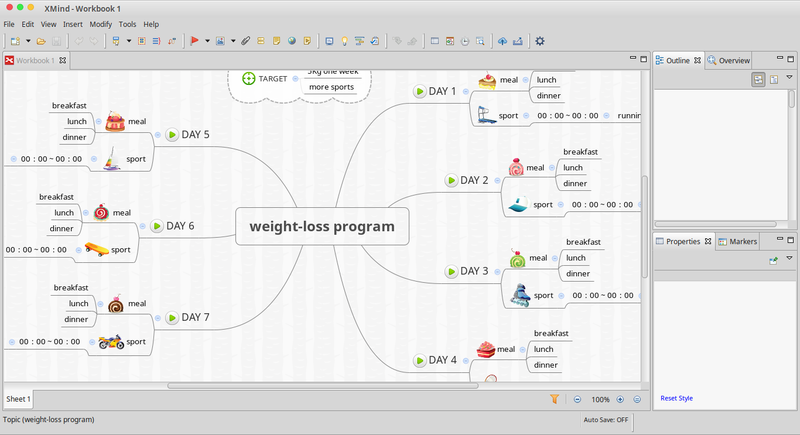 XMind: Best FREE Mind Mapping Software Open Source for Linux. With XMind you can draw fishbone chart, matrix, local network sharing, brainstorming tool, and draw gantt view in Linux. How to install XMind and its review click here. Mendeley allow you for creating bibliography and citation for your journal, organizing PDF, Make your own fully-searchable library in seconds, cite as you write, and read and annotate your PDFs on any device. Read complete article here. For chemistry class, this is the best software with its complete facilities such as isotope table, molecular editor, calculator for mass, concentration, nuclear, gas, titration, plot data and more. Read about Kalzium and how to install Kalzium in linux click here. KmPlot is a program to draw graphs, their integrals or derivatives. It supports different systems of coordinates like the Cartesian or the polar coordinate system. The graphs can be colorized and the view is scalable, so that you are able to zoom to the level you need. Read more! GNU PSPP is a Linux application for statistical analysis of sampled data that have same functionalities to SPSS. It is a Free replacement for the proprietary program SPSS, and appears very similar to it with a few exceptions. Check it out! FREE Math Software Linux to Solve Algebra Calculus Geometry with GeoGebra as Education Software for Linux. If you are looking Linux application to study geometry, linear algebra, spreadsheets, graphing, calculus also statistic in Linux then GeoGebra is the solution! Read more here! GNU Octave matlab compatibility will understand your Matlab command and this app become the best Matlab alternative in Linux. GNU Octave language is quite similar to Matlab so that most programs are easily portable and become Matlab Replacement. Check it out! That is some best educational software for student in Linux. Ready to use linux now? Get update for best educational software for linux mint by visiting this link. XMind: Best FREE Mind Mapping Software Open Source for Linux. With XMind you can draw fishbone chart, matrix, local network sharing, brainstorming tool, and draw gantt view in Linux. This linux article will explain how to install XMind in Linux, review XMind as a free mind mapping application for linux. For Brainstorming lover, there is a software which can draw your idea using XMind. This software offers the productivity software tools and service. XMind, its flag product, is a great mind mapping and brainstorming software, and serving more than a million users around the world. Our purpose is to develop the best productivity tool, save people's time and raise the efficiency. Besides the Mind Map structure, XMind also offers Org-chart, Tree-chart, Logic-chart, and etc. These charts will play an important role in some circumstances. For example, Org-chart can show the company/department/team structure clearly. Logic-chart is very useful in sorting the reasons. XMind can be installed on Linux, Mac, and Windows. I believe that Gantt View is not a required feature for mind mapping software. But if you manage your project in mind maps, the feature will be extremely helpful! Gantt View shows start date, end date and progress of every task. A task (or a milestone) is actually a topic in mind map. So tasks have their tree structure, which we usually called a Work Breakdown System(WBS). And the structure is, you guess right, the mind map! And they're auto synchronized. The user interface is beautiful, the interaction is fluent, and the usability is improved. Complex operations can be done directly on the view. After downloaded you will se deb file, double click on the file and choose "Install Package"
Now you can open XMind after install by clicking Start/Menu >> Education >> XMind, and XMind window will appear such as picture. Start your work. 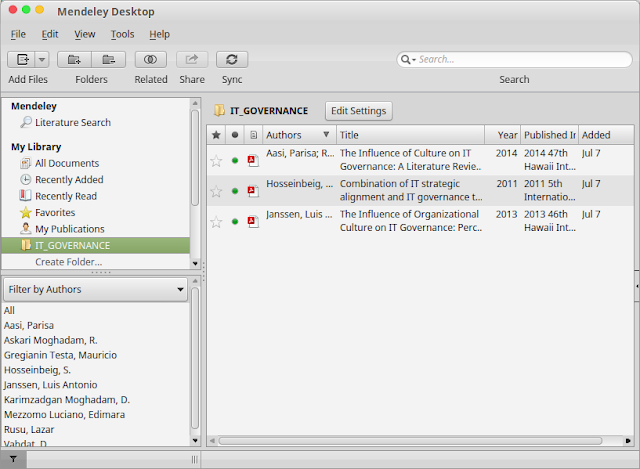 Manage Bibliography and Citation in Linux with Mendeley. This will explain how to install Mendeley Desktop in Linux, review Mendeley Desktop and how to create bibliography using Mendeley Desktop with LibreOffice Writer. Mendeley is a Linux application which can create fererence or bibloigraphy easily collaborated with LibreOffice. Mendeley is a free reference manager and academic social network. Make your own fully-searchable library in seconds, cite as you write, and read and annotate your PDFs on any device because Mendeley can be installed on Linux, Mac, Windows, Android, iOS, even you can use it online. As a free reference manager, Mendeley can save time managing PDFs, instantly share thoughts on papers with colleagues and automatically back up and sync your files between different computers or device. Mendeley have citation styles for thousands of journals. Quickly search and select your citation style from a rapidly growing community managed database, or create new styles with the new CSL Editor. Mendeley Create bibliographies instantly. Cite seamlessly without leaving Word. Format your citations and bibliography according to your chosen style. Mendeley Provides Flexible formatting. Hanging indents, the use of “Ibid.”, author disambiguation. Mendeley looks after the details of creating a bibliography so you can focus on writing. Mendeley Collaborate on bibliographies. Share bibliographies with your colleagues through a private group. Any member can add or edit any cited references. You will get Mendeley installer: a deb file, double click the file and click "Install Package"
If you install Mendeley Desktop from method 1 above, then you can double click the Mendeley installer and click "Remove package". Done! LibreOffice Math - Equivalent Software for Microsoft Equation in Linux. LibreOffice Math Software to Write Math Formula in Linux. This will guide how to install LibreOffice Math, review and features. Have you inserted a math formula in MS Word? You can insert math formula too in Linux with LibreOffice Math. LibreOffice Math is a linux application which can insert perfectly-formatted mathematical and scientific formulas in Linux and Windows too. Your formulas can include a wide range of elements, from fractions, terms with exponents and indices, integrals, and mathematical functions, to inequalities, systems of equations, and matrices. LibreOffice Math is a part of LibreOffice - the office suite for Linux which contain Writer, Calc, Base, Presentation, and Math. Math has a clean and approachable interface that permits anyone to work with the intuitive formula language, since code-programming skills are not required. Moreover, the help documentation settles any unclear aspects. The User Interface's elements are fully customizable, including keyboard shortcuts for any command. Undoing and redoing actions is possible. Formula files can be easily attached to documents, spreadsheets, drawings and presentations. At the same time, Math can be called from Writer, Calc, Impress and Draw. How to Type Science Equations in LibreOffice Writer ? After opening that menu, you will see Math popped up, start by typing your math formula here. This may not be the most optimum way, but it should allow you to insert a formula without too much difficulty. In Writer, position the cursor where you want to insert the formula, then go to the menu Insert >> Object >> Formula... and then paste your formula. Best Periodic Table of Elements Software for Linux - Kalzium chemistry periodic table software free download. This will guide how to install Kalzium, open Kalzium and Kalzium review as one of Linux application for Periodic Table. Kalzium is a Linux software which shows you the Periodic Table of Elements. You can use Kalzium to search for information about the elements or to learn facts about the periodic table digitally. Kalzium is your digital replacement for the periodic table on paper. It ss a program that visualizes the Periodic Table of Elements (PSE) and includes basic information about all common elements in the PSE. It has a gained much more functions over time. Kalzium provides you with all kinds of information about the Periodic Table of the Elements. You can visualize the Periodic Table of the Elements by groups, blocks, and families. You can plot data for a range of elements for properties like the boiling point or the atomic mass. You can go back in time and see what elements were known at a given date. You can also calculate the molecular mass of molecules. 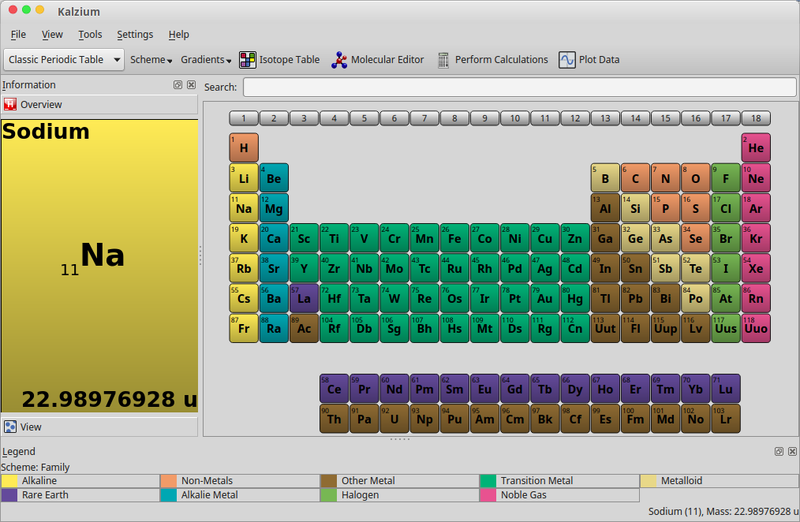 Kalzium is divided in an information panel on the left (in red), the table view (in blue) which shows the elements of the periodic table, and a legend panel at the bottom (in green). The standard menubar allows you to choose what you want to display and the status bar reports facts. Very recommended for complete periodic table of elements. If you are looking for simple periodic table of elements you can try GElemental Periodic Table. Give your password if prompted! Now you can open Kalzium after install by clicking Start/Menu >> Education >> Kalzium then explore the complete features included. Gelemental: Simple Periodic Table Application for Linux. This will guide how to install GElemental in Linux, review GElemental the simple periodic table elements for student. gElemental is a periodic table viewer that provides detailed information on the chemical elements. It is a port of GPeriodic to C++ and gtkmm, and it offers an improved UI, an updated and corrected data set, a better data format, a list view, and easier coloration. gElemental was developed and is maintained by Kevin Daughtridge. Its data are derived from the Blue Obelisk Data Repository and from Wikipedia's chemical data compilations. It was originally derived from GPeriodic, developed by Jonas Frantz and Kyle R. Burton. gElemental is a periodic table viewer that provides detailed information on the chemical elements. 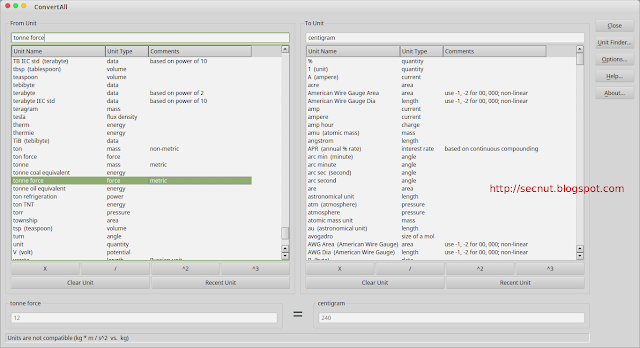 It uses the GTK+ toolkit and is available for Linux and other GTK+/GNOME platforms. It is free software released under the GNU General Public License. This is a simple application to show periodic table digitally, if you want a complete Periodic Table and its features such as isotop analysis please use Kalzium. The Periodic Table window will show up, click on the elements such as Natrium then you will see Natrium detail popped up. The table view allows the elements to be coloured thematically by most properties. The list view displays key information about the elements with any one of the additional element properties, and can be sorted by any of these. The gElemental data set is up to date and primarily derived from cited academic sources. The data set is available through the libelemental shared library. A Python module, pyElemental, is also available. 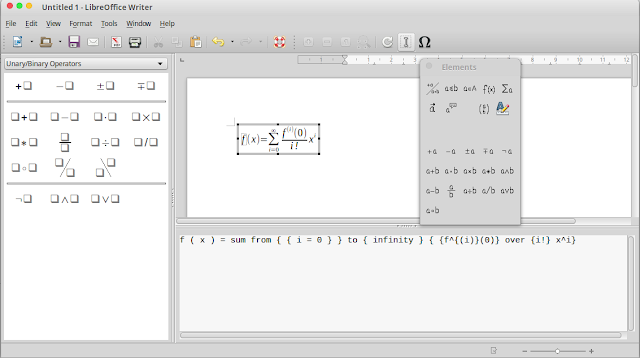 Best FREE Mathematical Function Plotter for Linux With KmPlot. How to install KmPlot in Linux, review KmPlot will be explained here. KmPlot is a Linux software to draw cartesian plot, parametric plot, polar plot, implicit plot, and differential plot in Linux. KmPlot is a program to draw graphs, their integrals or derivatives. It supports different systems of coordinates like the Cartesian or the polar coordinate system. The graphs can be colorized and the view is scalable, so that you are able to zoom to the level you need. KmPlot has built in a powerful parser. High precision printouts with correct metric scale are very useful as worksheets in math and science lessons. It can plot different functions simultaneously and combine their function terms to build new functions. It supports functions with parameters. You can change the parameters by moving a slider and see how the plot will change. Wait until installation complete. Now you can open KmPlot after install by clicking Start/Menu >> Education >> KmPlot. For your example you can draw a math diagram by entering rf(x)=x and see the result as above. 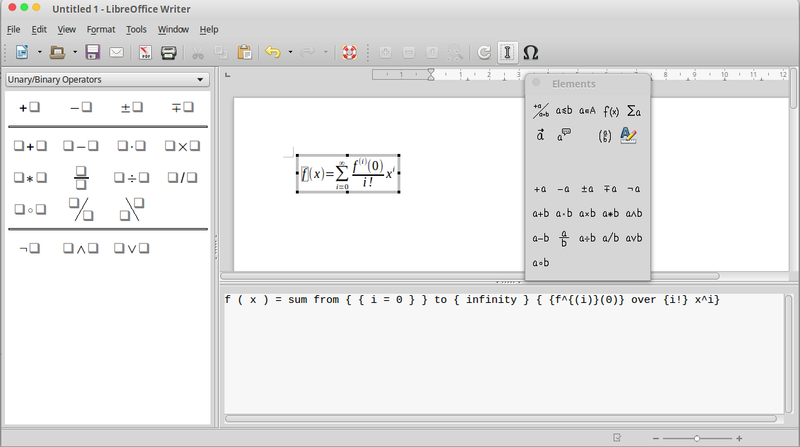 That is Mathematical Function Plotter for Linux With KmPlot as mathematical software in Linux! 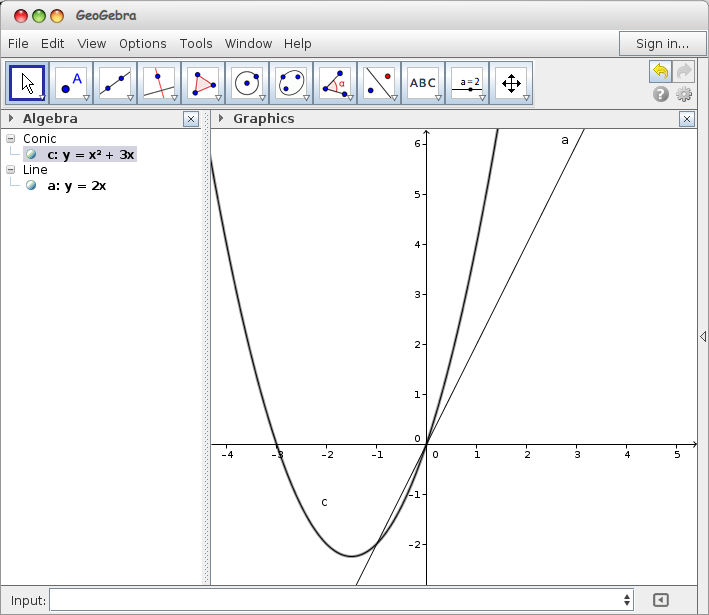 Math Graphing Calculator Software for Linux With Kalgebra. This article will explain how to install Kalgebra in Linux and Review Kalgebra. Using linux application called Kalgebra you can do a math drills plotting coordinate points in Linux, representate 2D and 3D graphs in mathematic easily. Kalgebra developed by Aleix Pol Gonzalez and released under GNU General Public License (GPL), Version 2. KAlgebra is a MathML-based graph calculator. Besides it was initially mathml oriented now it can be used by everyone with little mathematic knowledge. KAlgebra uses an intuitive algebraic syntax, similar to those used on modern graphing calculators. User-entered expressions are converted to MathML in the background, then Kalgebra solve it or plotting it as your need. 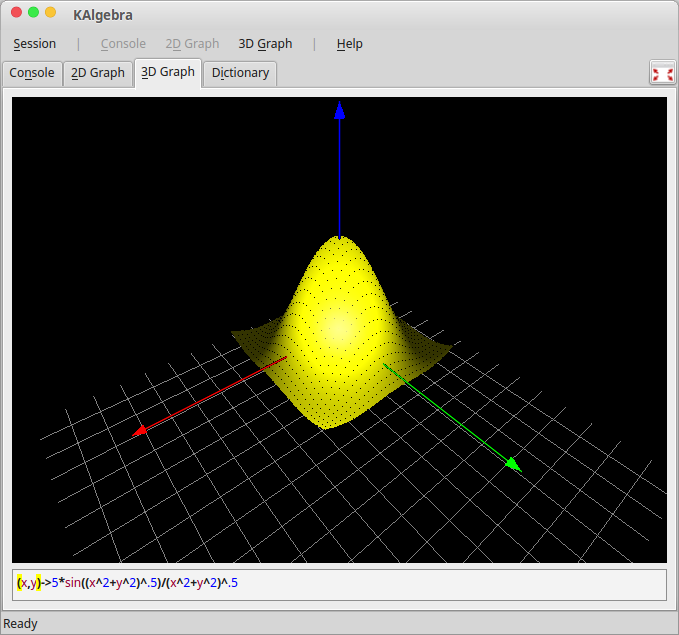 Kalgebra has four views such as Console, 2D Graph, 3D Graph, and Dictionary. The dictionary includes a comprehensive list of all built-in functions in KAlgebra. Functions can be looked up with parameters, examples, formulas and sample plots. Over 100 functions and operations are currently supported. KAlgebra is rooted in the Mathematical Markup Language (MathML); however, one does not need to know MathML to use KAlgebra. Wait until installation completed. Now you can open Kalgebra after install by clicking Start/Menu >> Education >> Kalgebra then Kalgebra window will appear. With Kalgebra you can take benefits of using these command to make your work easier. Algebra common functions are: plus, times, minus, divide, quotient, power, root, factorial, and, or, xor, not, gcd, lcm, rem, factorof, max, min, lt, gt, eq, neq, leq, geq, implies, approx, abs, floor, ceiling, sin, cos, tan, sec, csc, cot, sinh, cosh, tanh, sech, csch, coth, arcsin, arccos, arctan, arccot, arccosh, arccsc, arccsch, arcsec, arcsech, arcsinh, arctanh, exp, ln, log, sum, product, diff, card, scalarproduct, selector, union, forall, exists, map, filter, transpose. How to use these function please refer to Kalgebra Handbook. 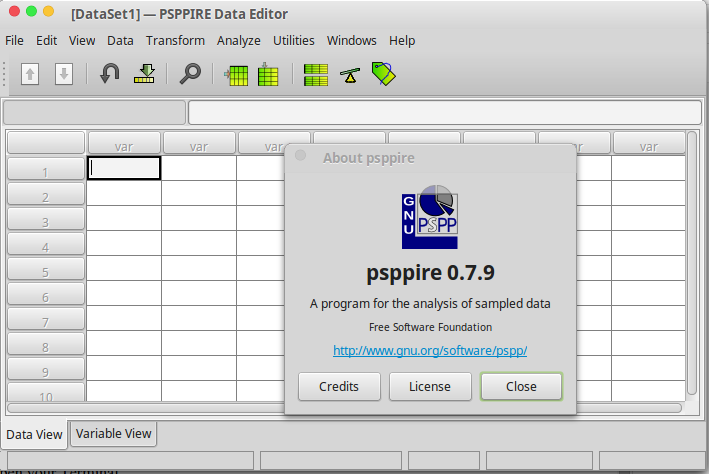 GNU PSPP - The Equivalent SPSS for Linux FREE + Review. 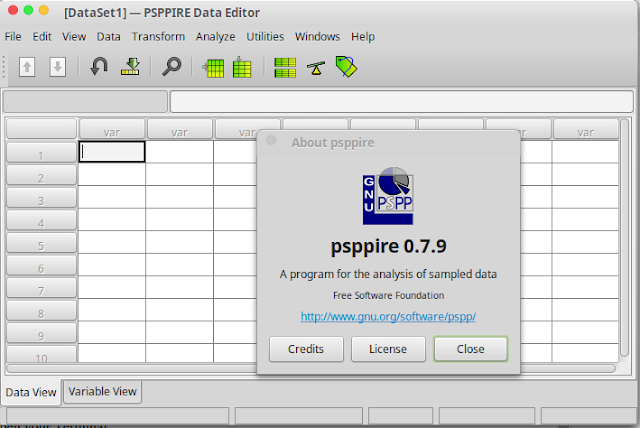 PSPP is statistical analysis tool an accounting application for linux. This will explain what is PSPP, review of PSPP and how to install PSPP in Linux Mint. Need a software like SPSS in Linux? You can use GNU PSPP instead of SPSS in Linux to help your statistical work correlated to statistics, T-tests, anova, linear and logistic regression, measures of association, cluster analysis, reliability and factor analysis, non-parametric tests and more. GNU PSPP is a Linux application for statistical analysis of sampled data that have same functionalities to SPSS. It is a Free replacement for the proprietary program SPSS, and appears very similar to it with a few exceptions. GNU PSPP is a stable and reliable application. It can perform descriptive statistics, T-tests, anova, linear and logistic regression, measures of association, cluster analysis, reliability and factor analysis, non-parametric tests and more. Its backend is designed to perform its analyses as fast as possible, regardless of the size of the input data. You can use PSPP with its graphical interface or the more. For statistical task, PSPP is the best alternative for SPSS and it is free. You can perform any statistical test such as Annova, T-test, regression and more. This Linux software is recommended for accountants. PSPP is under continual improvement. You can get development versions if you are interested to see what the developers are working on. However, please be aware that these may not have been fully tested and may not be entirely free of bugs. Linux Software to run Matlab Command? GNU Octave is the best free one! This Linux article will explain how to install GNU Octave in Linux, review GNU octave. Running Matlab Command in Linux Using GNU Octave can be done easily with this application. GNU Octave matlab compatibility will understand your Matlab command and this app become the best Matlab alternative in Linux. GNU Octave language is quite similar to Matlab so that most programs are easily portable and become Matlab Replacement for Linux, Mac and Windows. GNU Octave is a high-level interpreted language which help your numerical computations. GNU Octave provides capabilities for the numerical solution of linear and nonlinear problems, and for performing other numerical experiments. This Linux Software can solve common numerical linear algebra problems, finding the roots of nonlinear equations, integrating ordinary functions, manipulating polynomials, and integrating ordinary differential and differential-algebraic equations. Matlab alternative for Linux using GNU Octave provides an intuitive command-line interface for solving linear and nonlinear problems numerically, and for performing other numerical experiments using a language that is mostly compatible with Matlab. GNU Octave provide Matlab functionalities and it is the best application for Matlab alternative in Linux. You can try to run Matlab in Linux Terminal using GNU Octave with result as above by typing these command in GNU Octave. Linux article about Running Matlab Command in Linux Using GNU Octave useful? Please share through Google+, Twitter, or Facebook. Thanks! FREE Math Software Linux to Solve Algebra Calculus Geometry with GeoGebra as Education Software for Linux. If you are looking Linux application to study geometry, linear algebra, spreadsheets, graphing, calculus also statistic in Linux then GeoGebra is the solution! 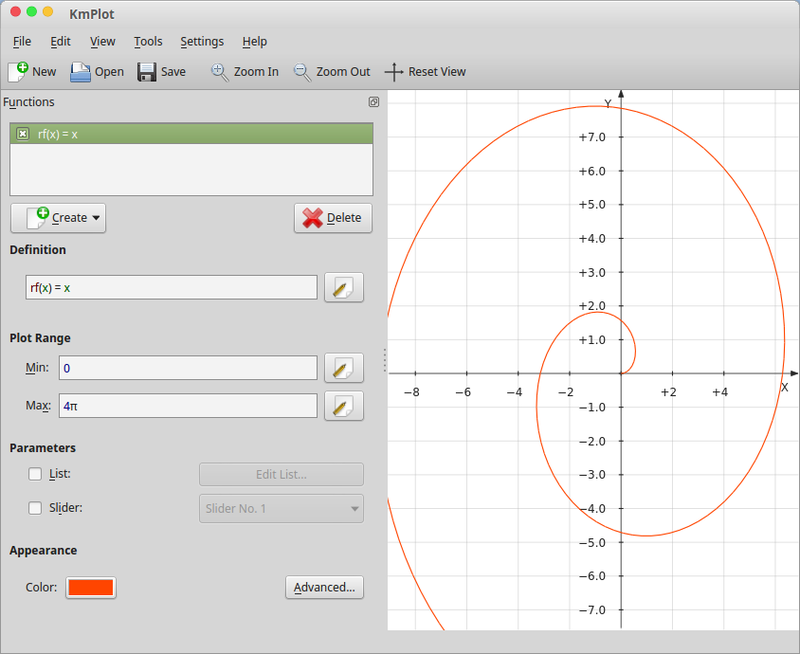 GeoGebra is a best free alternative software for Microsoft Math and Algebra Solver in Linux. 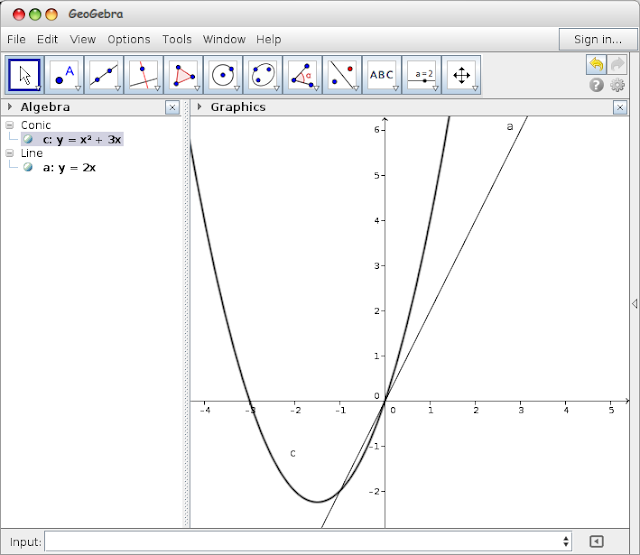 GeoGebra is a Linux, Mac, and Windows application that provide dynamic mathematics software, supporting science, technology, engineering and mathematics (STEM) education and innovations in teaching and learning worldwide. GeoGebra makes a link between geometry and algebra in an entirely new, visual way - students can finally see, touch, and experience math. GOOD material resources for student and teacher available online and it's FREE. GeoGebra easy to use with friendly interface, you can visit GeoGebra tutorials here and join the GeoGebra Forum. Course and resource material online visit this. Visit GeoGebra website here and select "More GeoGebra downloads"
After download complete, double click the installer and choose "Install Package"
GeoGebra also available online! So if you don't want install anything visit GeoGebra site and start your home work. If you are Google Chrome user, you can install GeoGebra Chrome Extension. 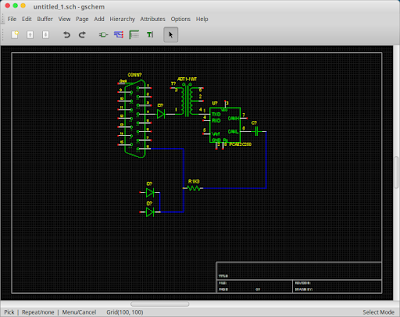 Application to Create and Edit Electrical Schematics and Symbol in Linux with gEDA gschem. The gEDA project has released a full GPL'd suite and toolkit of Electronic Design Automation tools called gschem. Full explanation please read gEDA Gschem to Create Electrical Schematics in Linux completely. gEDA gschem is used for electrical circuit design, schematic capture, simulation, prototyping, and production. Based on the website, the gEDA project offers a free software applications for electronics design in Linux, including schematic capture, attribute management, bill of materials (BOM) generation, netlisting into over 20 netlist formats, analog and digital simulation, and printed circuit board (PCB) layout. 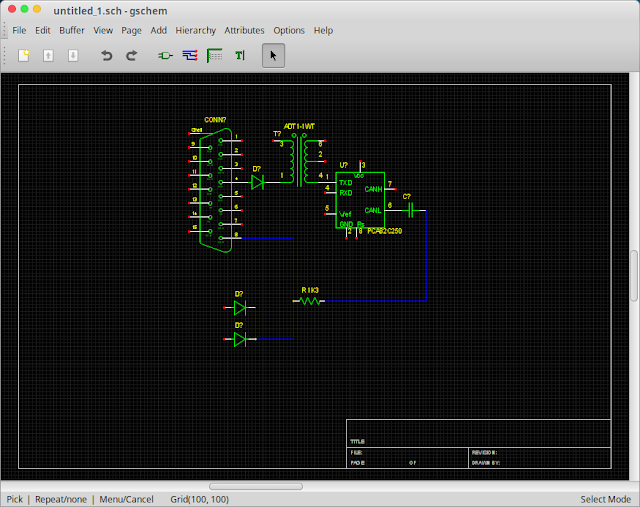 gEDA Schematic Editor -- gDA = GPL Electronic Design Automation --Application to draw Electronic Circuit on Ubuntu also Linux Mint. Electronic circuit is an image that contains a circuit combination of electronic components such as resistors, capacitors, diodes, transistors, and IC (Integrated Circuit). You can find an electronic circuits symbol here as your reference. To run your gEDA gschem please click on the Start Menu >> Others >> gEDA Schematic Editor and the main window will appear. Click the toolbar icon to add a symbol of electronic circuit into a worksheet. Free in the monetary sense (no cost). All the file formats and source code are available via the GPL license. This license grants specific rights to the authors and users of GPL'd software. Independence from any one vendor. All gEDA tools come with full source. You may freely redistribute, change, improve and port the tools. You may also distribute your changes, if you follow the terms of the GPL. No mechanism is used to restrict the use of the tools (like making use of hard disk serial numbers or ethernet addresses to force the software to only run on one machine). No arbitrary, marketeering-driven limitations. Free versions of commercial tools usually include capricious limitations (i.e. limited design size, inability to print, inability to export netlists, etc.) which cripple the program, and force the serious user to buy the real tool. In contrast, the gEDA tools are fully-featured, and do not arbitrarily impose limits on design as a way of extracting money from you. Legacy design protection. Since the software will always be available, and can always be updated to work with updated operating systems or libraries, gEDA tool design files will always be viewable and editable. Open design flow. This means that the tools talk to each other via known and documented means (files / APIs). It is easy to replace a tool or augment the tools with something else if you so desire. The gEDA suite is an EDA toolkit. The individual pieces are loosely coupled and allow for end users to customize or replaces parts of the design flow. Stability - Bugs which cause crashes are investigated immediately and fixed as soon as possible. Minimize bloat and unnecessary features. Run on as many platforms as possible. For gEDA/gaf: GNU/Linux, various other Unix systems. Developed in an open (no secrets) fashion. Download and Install SciLab The Best Matlab Alternative Software in Linux! Scilab is Open source software for numerical computation. Scilab reach latest version 5.5.1 (updated December 2014) and can be executed under Linux, Windows and Mac operating system. Based on Google seacrh for software in Linux that can do numerical computation (usually Matlab), data analysis for free we found SCILAB is the best among other alternative for Matlab. The Scilab beat GNU Octave, Genius, Sagemath, and FreeMat. Scilab is a free open source software with a GPL compatible licence. Thus, Scilab Enterprises is involved in the Open Source world in different ways. All Scilab libraries are free with accepted and recognized licenses by the FLOSS community (Free, Libre Open Source Software). The license is one of the key criteria for the selection of a library of Scilab. For usual engineering and science applications including mathematical operations and data analysis. Graphics functions to visualize, annotate and export data and many ways to create and customize various types of plots and charts. Algorithms to solve constrained and unconstrained continuous and discrete optimization problems. Visualize, analyze and filter signals in time and frequency domains. Increase Scilab native functionalities and manage data exchanges with external tools. Modeling mechanical systems, hydraulic circuits, control systems. After visiting the website, please click "Download" menu. You have to choose which Linux architecture did you used, the 32 bit or 64 bit. After downloading complete then you need to extract the folder to /opt folder or to your Home directory. To run the program just double click the program. If you are confusing how to install Linux application click here. GeoGebra - Best Linux Math Software for Student. GeoGebra is one of the most popular mathematics education software in Linux to solve maths function in colleges. It's easy to use and it can be said that GeoGebra is Microsoft Math alternative in Linux! GeoGebra is dynamic mathematics software for education in secondary schools that joins geometry, algebra, and calculus. On the one hand, GeoGebra is a dynamic geometry system. You can do constructions with points, vectors, segments, lines, conic sections as well as functions and change them dynamically afterwards. Read here how to download and install GeoGebra as the best linux math software. GeoGebra is very intuitive, the free, open-source mathematics education software is designed for math classrooms in secondary schools, but anyone who uses geometry, algebra, or calculus should check it out. It combines a flexible, easy-to-use geometry tool with direct input of equations and coordinates. It can create points, vectors, lines, segments, conic sections, and more using preconfigured tools and handle variables for vectors, numbers, and points. Quick Tips : if you are learning math, you can submit and learning the material from the "Material" section on the official GeoGebra website.